We started out about 11 months ago with Cal's Mom's maternity photos. Then he was born and we had fun at his newborn photos, and now, in the blink of an eye, this little baby is ten months old. And not only that, he is walking. Like full on walking around! It baffles me as my children did not walk until 1 year and he looks so adorable running around on those little legs! The Leah Family booked me for my Grow With Me Package which covers 4 sessions over baby's first year. Its a great way to capture the entire first year as its so full of milestones. At the end of the year, all your favourite images are customized into an heirloom album that can be passed down for generations. Nine and ten month old photos have always been my favourite. Its a workout for mom, as she is usually placing baby in the photo spot, I click, and he or she will crawl or run away! Its busy but I love the expressions that all little babies give at this age. SO much laughter and funny faces and cute little grins. Bring me all the sitting babies! 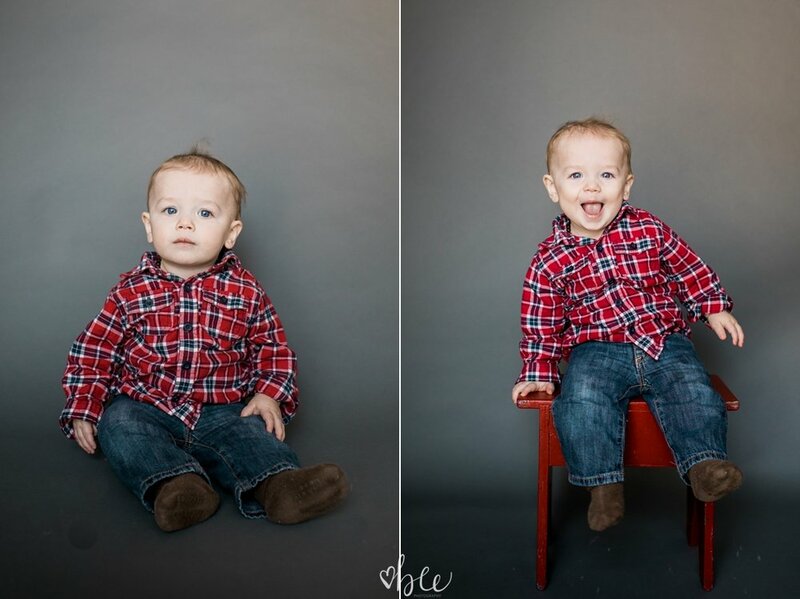 Anyway, some sneak peeks from Baby Callum's little lumberjack session. Contact Bobbi-Jo for your own Photos!